Do the Math -- We Win! Like so many others, I sat down this morning and reflected on all that has happened during the course of the year. Although I lost friends, I didn't lose any close family members. As a family, we had our share of illness and injuries, but managed to survive the year without a cancer diagnosis or other catastrophic disease. Money was tight and our debt reached an all-time high, but God provided a job for me that allowed us to have a good Christmas, fund the publication of a second book, and resurrect the hope that we will pay off our bills and finally attain financial peace. We faced the challenges of parenting a teenager in a hostile and ungodly culture, but experienced God's hand of protection and little glimmers of progress along the way. A book was published and a ministry was born with little fanfare but with a whole lot of hope, faith, and love. For us, 2010 was a very good year. Looking ahead, I know that the challenges we faced in 2010 will accompany us as we cross into a new year. The same God who was with us will go before us, providing for each need, supplying peace in every stressful circumstance, and comforting us when our hearts are broken. Every one of us will face giants this year, challenges that threaten to completely overwhelm us. But if we will look to God's Word and use the God-given power within us, rather than our own limited resources, to face those challenges, we will be victorious. We cannot fight the battle alone. Think about it! If you can remember that God (Father, Son, and Holy Spirit) plus you equals four, then you have already outnumbered your foe because Satan is only one person and certainly no match for our God! No matter what challenges you face in the year ahead, remember to do the math -- we win! Traditions are an integral part of the holidays. Whether it's waiting until Christmas Eve to trim the tree, baking cookies with your children during the holidays, or eating black eyed peas on New Year's Day to ensure good fortune, we all love the traditions that bring joy and comfort to our lives. Personally, although I love black eyed peas, I don't put much stock in their power to make my year any better than it would be otherwise. Last year I couldn't even find black eyed peas in the store to cook for New Year's Day (I settled instead for purple hull peas, a close relative) and my year turned okay just the same! Not great, but definitely okay. For many New Year's Day will be filled with football, fun, and of course, black eyed peas. We will turn our back on the hardships we suffered, take a deep breath, and say a prayer that the coming year will be better than the one just ended. But will we live any differently tomorrow than we did yesterday? Most will continue to do their best and hope that everything turns out well for all their efforts. Others will walk in complete dependence on the Lord and suffer in spite of their faith, but still manage to praise him in spite of their problems. Some will be blindsided by tragedy and others will be surprised with unexpected blessings. None of us can predict what will happen, but we can rest in the assurance that our all-powerful God is, and will always be, in control. As you remember the events of this year and make your resolutions for next, resolve above all else to give God the keys and let him do the driving this year. If you will spend a little less time doing what you think you should do and focus instead on being all God wants you to be (we are, after all, human beings), you might be pleasantly surprised by the blessings that come your way in the months ahead. Happy New Year and pass the black eyed peas! It is not uncommon for someone to come up with a catchy way to characterize the New Year. As I sat down this afternoon and posted my status on Facebook, the following words came to mind: "Closer to Heaven in 2011." They say no thought is original, but this is one saying I've not heard before. Whether or not someone else has had the same thought or I happened to have originated it, the truth is certain that some of us will indeed be closer to heaven in 2011! Will you be one who can say that with confidence? The apostle Paul tells us in Romans 13:11 that "our salvation is nearer now than when we first believed." This reality should motivate believers to live each day fully as though it were our last, walking in righteousness, shining Christ's light in a dark world, and sharing God's love and the hope of salvation with those who do not know him. The Bible tells us what the end times will be like. "But mark this: There will be terrible times in the last days. People will be lovers of themselves, lovers of money, boastful, proud, abusive, disobedient to their parents, ungrateful, unholy, without love, unforgiving, slanderous, without self-control, brutal, not lovers of the good, treacherous, rash, conceited, lovers of pleasure rather than lovers of God" (2 Timothy 3:1-4). One doesn't have to look very hard to see the manifestation of this prophecy in our very day! I look forward to the day when I shall meet my Savior face to face in the place he has prepared for me (John 14:2), don't you? If you have not settled the matter of your salvation with Jesus, let today be the day you ask him to forgive you and come live in your heart. Then you, too, will be able to rest in the assurance that you are nearer to heaven in 2011! Although it has been several years since I read The Prayer of Jabez by Dr. Bruce Wilkinson, it remains one of my favorite books and a great source of inspiration for a dreamer such as myself. 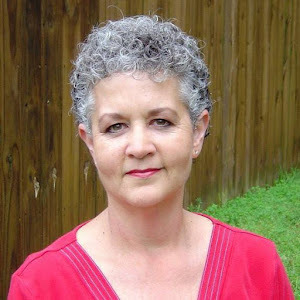 In 2010, before I celebrated my fiftieth birthday, my first book was published. This fulfilled a dream that was years in the making, a dream I never dared would come true. God has a way of doing what we dream of when we least expect it, even though we stop praying about the dream long before it comes true. I love that about God. As we venture into the uncharted territory of a New Year, I can't help but get excited about the prospects ahead! Perhaps you are excited, too. I believe that as we seek a deeper knowledge of God and a closer relationship with him, he is going to open doors (and perhaps close a few) and do immeasurably more than we can ask or imagine (Ephesians 3:20). Difficult times will be ever-present because Christ's return and the end of our world is closer than ever before. But God will continue to prove himself faithful as we place our trust in him. What is it that you want for the New Year? As you look back on this year and take inventory of all that has happened, thank God for his blessings and provision. Make a list of what you would like to see happen next year and commit that list to him in prayer. Know that if you pray according to his will with a heart that is pure, he will answer your prayers. His answers may not come according to your time frame, but God has promised to answer prayers offered in faith by those who walk close to him. Have a dream you want to see fulfilled? Don't give up on the dream or on the Dream Giver! Continue to seek him first in every area of your life, giving him permission to have his way in you. As you surrender your all, he will take you places you could never imagine and do through you things that only God can do! The New Year awaits you -- dare to step into new territory with God! I awoke very early on Christmas morning, sleepless and frustrated knowing that I needed a good night's rest before preparing a traditional Christmas dinner for family and friends. Yet I couldn't go back to sleep. Never one to waste a minute, I had my quiet time earlier than usual and began contemplating questions from the second chapter of Matthew, where the familiar story of the Magi's visit is told. As I read the story this time, I read it with a fresh set of eyes and heart hungry for deeper insight. Although the Magi of old had asked for the geographical location of the newborn King, if one were to ask "Where is he?" today the answer would be quite different. Jesus, though born in the stable on that first Christmas, resides today in the hearts of his followers. We see his attributes in the lives of those who know his Word and live in obedience to all he has taught us in Scripture. His glory is evident in those who maintain a spirit of joy despite the troubles they face, who exhibit peace in the midst of chaos and turmoil. His character is evident in the mercy they show to others, their willingness to serve, and their generosity in giving to those in need. They speak as ones who have authority (Matthew 7:29) because they know the Living Word and walk in the power of his Holy Spirit. When Herod asked the chief priests and teachers of the law where the Christ was to be born (v. 4), they replied, "in Bethlehem in Judea." Yet Jesus desires to be born in the hearts of those who do not yet know him. His dwelling place was never meant to be a manger in a filthy stable or a house in Bethlehem, but rather the hearts of men. We are told in Scripture we ourselves are God's temple and that his Holy Spirit dwells in us (1 Corinthians 3:16). When Herod heard that the Magi had come to worship the newborn King, he sent them to Bethlehem and said, "Go and make a careful search for the child. As soon as you find him, report to me, so that I too may go and worship him" (Matthew 2:8). We know from Scripture that Herod's intent was not to worship him, but rather to destroy the Christ child. But Christ desires our worship. If someone were to make a careful search of our lives, would they find Christ in us? How will others know and worship the One who was born in a manger all those years ago if they cannot find him in the lives of those who profess to believe him? Where is he? Do you see Christ in the lives of people you know? Do they see Christ in you? If you have not yet made your heart Christ's dwelling place, I pray that you will let this be the Christmas he is born in you. Joy to the world! The Lord has come. For many people, Christians and non-Christians alike, Christmas is the most wonderful time of the year. So much anticipation surrounds Christmas Day, especially for the children who cannot wait for Santa to come and leave all their hearts' desires wrapped in festive packages, just waiting to be torn open on Christmas morning. For many of us, the most anticipated part of Christmas is the Christmas Eve service we will attend tonight. In warmly-lit sanctuaries all around the world, Christians will gather to worship their newborn King and to ponder in their hearts, as Mary did, the true wonder and miracle of Christmas. Despite the frenzy of last-minute shopping and the stress of paying for it all, there is a kinder, gentler spirit of goodwill that surfaces in mankind in the days leading up to Christmas. If only for a few days, we are more generous toward those in need, mindful of how blessed we truly are, and a little more forgiving, perhaps, of those who offend us. What if every day could be like Christmas? What if the pews of our churches were as full on Sunday morning as they are on Christmas Eve? Can you even imagine the impact we could have in this world if we walked with the Lord every day instead of just once a year? What if we were kind to those around us all the time? The cashiers who ring up our Christmas purchases are likely the ones we see at the stores we frequent throughout the year. Why should our warm smiles and friendly conversation with them be limited to the holidays? What if every day we were as sensitive to the needs of the underprivileged as we are at Christmas? The Salvation Army doesn't just need a handful of change tossed into a red kettle during Christmas. They work all year long to provide the needy and homeless with shelter, food, clothing, and the hope of the Gospel. If we indulged ourselves a little less throughout the year we could better support the charities who are working so hard to be the hands and feet of Christ to those in need. What if we thought of Jesus as more than just a baby in a manger? You know, the story doesn't stop there. Jesus left the riches and glory of heaven to dwell as one of us in a world marked with every form of sin and evil, but there is so much more to his story. He grew up and became the sacrifice for all our sin so we could spend eternity with him in heaven. This year, as we leave the twinkling lights and festivities of Christmas behind, let us resolve to take the spirit of Christmas with us every day of the year. There is no greater gift we could give our Savior than to extend his peace and goodwill to all mankind and to worship him more often than once or twice a year. He is worthy. He is waiting....for you and for me. "Land of the Lost" was a 1974 children's program about a family who was trapped in an alternate universe inhabited by dinosaurs, primitive people, and aggressive lizard-type/humanoid creatures called Sleestak. The series chronicles the efforts of the family to find their way back to their own world while exploring the exotic features of the Land of the Lost (http://en.wikipedia.org/wiki/Land_of_the_Lost_(1974_TV_series). Since the original series there have been remakes, movies, new series, and a growing fascination with the idea of being lost from family and the safety of home. In an Advent sermon series, our church sent interviewers into our city to ask people on the street two questions: "Who is Jesus?" and "Why did He come here?" As you might imagine, the answers given in response to the questions covered the gamut. There were believers who without hesitation proclaimed him to be the Son of God who came to save mankind. My heart was grieved, though, by the number of people who were either indifferent or absolutely clueless. Though some of their responses were ridiculous and laughable, they awoke in me the harsh reality that there are many people who do not know the truth and the conviction that I have not done a very good job of sharing the Gospel with those I know are lost. We are all living in a modern-day "land of the lost," a world where sin runs rampant and where mankind lives oblivious to the consequences of that sin. Jesus left a perfect world to live among and save lost people. Are you one of the lost, or are you working with him to show lost people how to find their way back home to the world where Christ reigns as King, rules as Lord, and desires intimate fellowship with his own? If you don't have a relationship with Jesus, you can receive the gift of his salvation by acknowledging and confessing your sin, believing that he came to seek and save you, and inviting him to live in and through you. There is no longer a reason to be lost....Jesus is the Way. We all have them -- those relationships that make us just a little crazy and cause us to nearly lose our religion at times. Often the very people who ruffle our feathers live in the same house with us, making it very difficult to remain civil and loving. We try our best to model Christ's example of love and patience, but find ourselves succumbing to anger and taking on the very character attributes we oppose in the person who is so hard to live with! God, "who reconciled us to himself through Christ," has given us more than a command to love our enemies and pray for those who persecute us. He has also given us a "ministry of reconciliation: that God was reconciling the world to himself in Christ, not counting men's sins against them. And he has committed to us the message of reconciliation. We are therefore Christ's ambassadors, as though God were making his appeal through us" (2 Corinthians 5:18-20). I'd call that a tall order, wouldn't you? I can accept God's reconciliation of us through Christ and the ministry to which he has called us, but I have a difficult time not counting my enemy's sins against him. But can we be effective ambassadors of Christ if we don't extend the same kind of grace and forgiveness to others that he extends to us? When my frustration level soars because the message of the Gospel doesn't get through or that difficult individual and I can't quite seem eye-to-eye, I have two options. I can either stay in the battle and run the risk of compromising Christ's character by playing the game on the enemy's terms, or I can walk away, shake the dust off my feet (Matthew 10:14) and continue to pray for that individual. I have to remind myself that the person I am having such difficulty loving is not the real enemy anyway. Satan is. And Satan loves nothing more than to take those people closest to us and use them to weaken our resolve to walk in godliness and be ministers of God's reconciliation. If you have a relationship that is making you crazy because nothing you say or do is getting through, pray for that person and let God take control. Shake the dust off your feet and go about the things that bring you joy and keep your focus where it should be -- on God himself. We can allow the stress of bad relationships to consume us, or we can turn from them and run to the One who will never be abusive or unkind. In his presence, we will find peace and the perspective we need to pray for that one whom God desires to reconcile. Some of these challenging relationships are too big for us to handle, but they are never too big for our God. In all my years of living on this earth, God has taught me many lessons. These lessons have been painful at times, especially when they have involved my children. As a parent, I see my children making many of the same mistakes I made during the years I wandered far from God. Although I realize that the mess I made of my life was the very thing God used to draw me back to him, it breaks my heart to know that my children are going to make their own mistakes no matter how hard I try to convince them that the stinging effects of sin are not worth the pleasures of the present. My own experience and words alone will not keep them safe. They will have to reach a place in their own lives where they embrace God's Word for themselves. Life has taught me that there is no fear in fearing God. There is only freedom. That is to say, if we walk in the fear of the Lord by obeying his Word and surrendering to his lordship, then there is really nothing for us to be afraid of. His Word assures us of provision, forgiveness when we confess our sins, and protection when we follow him. But try to tell that to a teenager who is listening to the voice of his peers and living life based on the world's value system! He is more afraid of missing out on fun or being labeled a Jesus freak than he is afraid of being outside God's will. Isn't the same true of many of us? Age is no respecter of foolishness. What are you afraid of? Are you afraid that if you choose to follow God in total submission, you will have to give up your friends or all that you have worked so hard to accomplish in life? Does obedience to his Word mean that you will have to give up all those dirty little habits that have become so comfortable to you? Maybe, maybe not. As one who has struggled with these very questions, I can assure you that whatever things were gain to you, you will eventually count as rubbish for the sake of knowing Christ more and being found in his righteousness (Philippians 3:7-9), if you choose to walk in the fear of God rather than be afraid of him and his truth. So, what are you afraid of? Don't let fear of what others think keep you from walking in the fear of the Lord. Dare to face your fear and surrender everything to him. There is no safer or more pleasant place to dwell than in God's presence and purpose for your life (Jeremiah 29:11). "And the prize for most loving mother goes to....." Oh, please! Some days I think someone needs to take that loving cup and hit me over the head with it, particularly when my patience wears thin with my kids and those closest to me! After all, as a Christian I should always be loving toward others, right? Even when I am offended, disrespected, or ignored altogether, God calls me to walk in love even though I'd rather give the other person a swift kick in the you-know-what. What is love anyway? In today's passage of Scripture Paul tells us clearly what love is and what love is not. Love is patient and kind. It is not envious, boastful, proud, rude, self-seeking, easily angered, or prone to carry a grudge. Wow! How often are we just the opposite -- not patient or kind, but rather more often rude, self-seeking, easily angered, and so on? I don't know about you, but I am the least likely to be awarded a prize for being "the most loving" anything! What if for one day we could actually walk in the kind of love that is described in this passage of Scripture? Can you imagine the kind of impact we might have on others and the difference our lives might make in a world that is so lacking in love, patience, and kindness? We can never measure up to God's love standard, except by the power of his Holy Spirit as we wholly surrender ourselves to him. Burt Bacharach and Hal David clearly understood that "what the world needs now is love, sweet love. It's the only thing that there's just too little of. What the world needs now is love, sweet love -- no not just for some, but for everyone." Today, may we all make a more valiant effort to love those around us, not in our own power but by drawing on the love of the One who laid down his very life for his friends (John 15:13). During the Christmas season it is not uncommon to hear the song, "My Favorite Things," played on the radio. Even though the original version from the movie, "The Sound of Music," has absolutely nothing to do with Christmas, somehow this song has made it into standard queue of Christmas music offered by radio stations everywhere. "Raindrops on roses and whiskers on kittens..." You know the song well. What are your favorite things this time of year? For many, it's the thrill of the hunt on Black Friday and the search for the perfect Christmas tree. Parties and gatherings rank high on the list, and the opportunity to do good by dropping a few coins into a Salvation Army kettle somehow makes one feel a little more noble. With all the traditions there are to enjoy, isn't it easy to get so caught up in the secular celebration that we forget about God's favorite things? So what is it that really stirs the heart of God? Certainly it is not the festive table we set nor the meal we set upon it, but I believe he is moved by the love of family and friends toward one another. The angels themselves proclaimed glad tidings of "Peace, good will to men." God is blessed when we set aside our differences and gather together to worship him and celebrate the birth of his Son rather than rush past the manger on our way to the next party or sale. But God's favorite thing of all is us. You and me. Why else would he come down to a fallen world to live as one of us and die for all of us? Because he is so crazy about you and me that he would do anything to make sure that we could spend eternity with him! Jesus was God's gift to us, a helpless babe who grew into a sinless man and ultimately paid the death penalty for our sins. You, beloved, are one of God's favorite things. Isn't it time that we all made the celebration of Christ's birth our favorite part of Christmas? 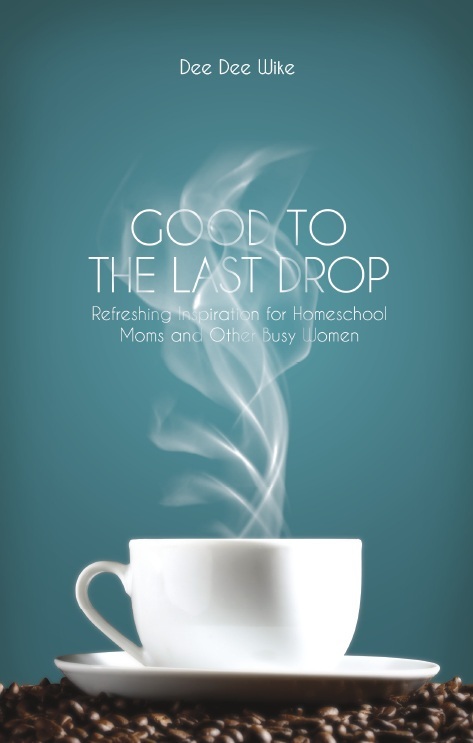 Take advantage of the lowest price ever on Good to the Last Drop: Refreshing Inspiration for Homeschool Moms and Other Busy Women and stock up for those last-minute Christmas gifts! At only $12 each (retail $18.99), Good to the Last Drop makes an affordable and uplifting gift for all the busy women on your shopping list. She'll love you for it, and so will I! For more details and to place your order online, visit www.deedeewike.com today! As I sat in church listening to a sermon about Christmas, my thoughts quickly went from the manger to the cross and I asked myself, What was Jesus' life all about anyway? We know that Christ was God sent in human form as an infant, to grow and to live as a man among humanity, suffer our sorrows, and ultimately to be the perfect sacrifice for our sins. Our sins deserved death, and only the blood of the Lamb of God could save and redeem us. As a Christian, I have understood and fully embraced the teachings of the Bible. I know that Jesus was fully God and fully man. Because of his willingness to leave the riches of a perfect heaven and enter into an imperfect and difficult earthly existence, he fully understands every sorrow and sin we encounter in life. He is not only sympathetic to our situation, but empathetic because he suffered in his body and his heart was not immune to sorrow and rejection. What a God we have! Jesus' life was all about us! He came to live as one of us and to die for all of us. If he gave the best of himself and was willing to die an excruciating death for us, why do we find it so hard to give the best of ourselves and live our lives wholly dedicated to him? Jesus cheated death, but he didn't cheat us. Yet, we are unfaithful to him every time we willingly choose to sin or neglect to do good when we have the opportunity to do so. This Christmas season, perhaps we need to set apart some time just for him, to thank him for all he has done for us and to rededicate ourselves to living wholly for him. It's the least we can do to express our gratitude to the One who gave everything for us! With Christmas less than two weeks away, people are beginning to ask me what I want for Christmas. There is no thing I want for Christmas, but there are plenty of wants on my list. For starters, I want to know God more, become more Christlike, and see others come to faith in him. I want to know and apply his Word daily, standing on its promises, walking in victory when life unravels around me, and blazing a trail of faith for others to follow. I want my words to encourage and uplift others, not tear them down. I want my children to walk with the Lord now, not after they have made the same mistakes I did. I want them to understand that they have a choice not to sin, and that there is great freedom in obeying God. The laws God set in place for us to follow were given to us out of his great love, not a desire to control or manipulate us. I want them to see that God is not the enemy, but that the true enemy, Satan, is real and seeks nothing but their destruction. I want them to be wise in their choices of friends and activities, and I want God to use them as peers of positive influence in a generation that so desperately needs the hope and light of the Lord. I want to parent my children with grace, not a heavy hand or harsh words. I want to lead them by example, not coercion. As I live out the life God desires for each of us -- a life of holiness and righteousness -- I pray that they will see Christianity as a life of joy and hope, not legalism or hypocrisy. I want God's blessings to multiply in my life so I can give more generously to others. If we all think outside the box, we will discover that we have much more than money to give. We could volunteer our time and talents to reach those who are lonely, hurting, or in real need of basic provision like food, clothing, and shelter. There is so much need in our world! When I think I need more money or stuff in my own life, I don't have to look far to see that there are those who are truly needy. I want God to give me his eyes to see the need around me and provision to do something about it. If we each learn to hold lightly the blessings God pours into our lives and allow him to control our pocketbooks, perhaps together we can make a positive difference in the lives of those who are truly needy and make this world a better place for them to live. I want my books to sell and my ministry to grow, not for the sake of producing income but to give me more opportunities to encourage and share God's Word with those who are on this journey of life with me. God certainly doesn't need me or my books to accomplish his purposes, but he desires for all of us to make ourselves available to him and to use our gifts and abilities to bring others into his kingdom. Is there some skill or talent you need to cultivate for his glory? What about you? What is it that you want most for Christmas? Would you dare to ask God for something more than a new computer, clothes, or cash? God has already given us a precious and unspeakable Gift, his Son. Will you unwrap that gift this year and in return, offer your life as a gift to Jesus? When we think of certain people, often it's the phrases they have coined which we remember. When I read today's scripture verse during my quiet time, Paul Harvey's famous tag line, "and now...the rest of the story," immediately came to mind. One of the greatest struggles we face is strained relationships, often with members of our own family. These difficult relationships are heart wrenching and debilitating at times, yet God's Word assures us that even our most intense suffering, whatever it may be, has a purpose. In 2 Corinthians 1:3-4 the apostle Paul writes, "Praise be to the God and Father of our Lord Jesus Christ, the Father of compassion and the God of all comfort, who comforts us in all our troubles, so that we can comfort those in any trouble with the comfort we ourselves have received from God." Isn't it comforting to know that at some point God will use our suffering to comfort someone else? Certainly it is, but often we are so consumed by the struggles we face that we forget God's assurance in verse five: "For just as the sufferings of Christ flow over into our lives, so also through Christ our comfort overflows." Clearly God's Word tells us there is more to our suffering than we may see. There is also his comfort! If you find yourself weary of the struggles you face, remember the rest of the story. God has a purpose for your suffering, he can use anything for his glory, and just as suffering overflows into your life, so through Christ his comfort overflows. Today walk in the comfort God promises you, knowing that because Christ himself also suffered, through him you are more than a conqueror! Every now and then it becomes necessary to replace something old with something new and improved. Nearly everything in life becomes old and outdated at some point. Whether it is an old car, worn-out clothing, or simply a tired face, a little attention to the details can go a long way in improving the look and performance and perhaps even extend the useful life of a particular thing. Sometimes, though, it takes more than a coat of paint or a stitch in time to restore the beauty and function with which a particular object was created. As I was tweaking my website in anticipation of new opportunities in the year ahead, I began thinking about the way God changes us. We are constantly being tweaked by the one who created us, through circumstances, by his Word, and through the working of the Holy Spirit. I suppose until we get to heaven, there will always be something about us that God can find to improve! The Bible tells us that if we are in Christ, old things have passed away and all things have become new. The shed blood of Christ washes us clean from the stain of sin and we are spiritually made new. Unfortunately, living in a fallen world takes its toll at times, both on our bodies and our spirits. Isn't that true of all of us? Thankfully, the God who never slumbers or sleeps (Psalm 121:4) is always at work completing the good work he started in each of us, always ready to forgive us when we confess our sins and restore us to a right relationship with him (1 John 1:9). When Christ returns to take us to heaven, our mortal, corruptible bodies will be made new, once and for all. In Revelation 21:4-5 (NASB) we are given this blessed assurance: "and He will wipe away every tear from their eyes; and there will no longer be any death; there will no longer be any mourning, or crying, or pain; the first things have passed away. And He who sits on the throne said, "'Behold, I am making all things new.' And He said, 'Write, for these words are faithful and true.'" Amen and amen! Life is a journey. As I wander through each day I often wonder why God allows certain things to happen or try to figure out his plans and purpose for my life. We all have such questions and days when we can't quite seem to figure out what the journey is all about. Don't we? As Christmas draws near and we approach the beginning of a New Year, I wonder if, for just a few minutes, we could just spend some time soaking in the wonder of God's "indescribable gift" to us and stop trying to figure out all of life? We get so caught up in finding all the answers that we overlook the only Answer that really matters -- Jesus. "For poor, on'ry people like you and like I," the Savior came that we might have life abundantly, both now and forevermore. And the promise of ages it then did recall.